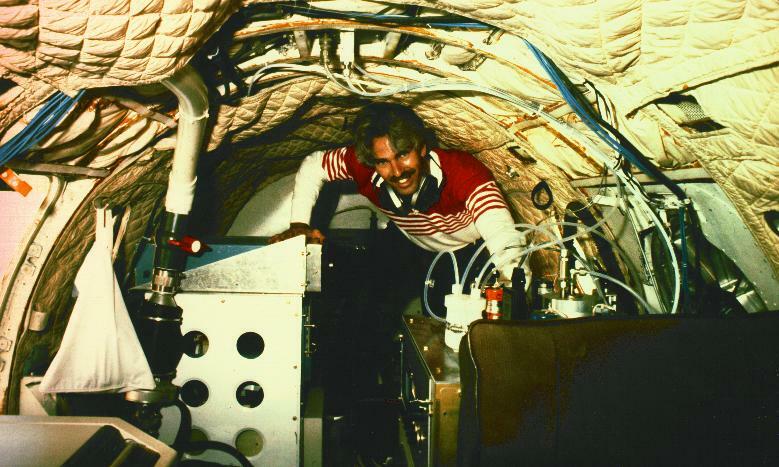 Russ Dickerson's research focuses on the multidisciplinary areas of atmospheric chemistry and air pollution, specifically photochemistry and global biogeochemical cycles. His research group, composed of chemists and meteorologists, develops analytical instruments (for NO, NOx, NOy, NH3, CO, SO2, CO2, CH4 and aerosols), employs these instruments in the laboratory, field, and on ships and aircraft, and interprets the results in terms of photochemistry and atmospheric physics. They are studying the budget of tropospheric ozone both in the Baltimore-Washington area and on the large scale, the transport of trace gases in convective clouds, and the role of the atmosphere in the chemistry of the Chesapeake Bay. Observations are compared to calculations from computer models of clouds and chemistry. Prof. Dickerson is a member of NASA's OMI Science Team and the Air Quality Applied Science Team (AQAST). He is also a member of the Earth System Science Interdisciplinary Center (ESSIC), which facilitates collaboration with NASA/GSCF and NOAA/ARL. Prof. Dickerson heads the Regional Atmospheric Measurement Modeling and Prediction Program, RAMMPP. Most recently, the project Flux of Atmospheric Greenhouse Gases in Maryland was initiated with support from NIST (FLAGG-MD) Before coming to Maryland, Prof. Dickerson worked at the National Center for Atmospheric Research and at the Max Planck Institute for Chemistry, in Mainz, Germany.